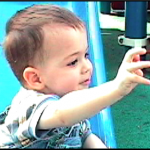 Why use sign language with your hearing child? From the moment our children come into our lives, they begin communicating with us. It starts with the basics: facial expressions, cries, coos and babbles. Then comes pointing and grabbing, grunts and whines. Interpreting these can be difficult, but let’s face it, we get pretty good at guessing what they mean. Eventually, around their first birthday, little ones begin saying their first words. Very young children clearly know what they want, so why does it take so long for them to learn to speak? The act of speaking and making words distinguishable involves many fine motor skills which take time to develop, and most children don’t speak clearly or develop a substantial vocabulary before the age of 2 or later. 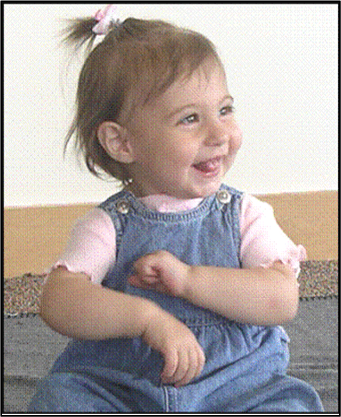 However, the gross motor skills needed for sign language develop much earlier, by 5-6 months of age. This means that children who learn to sign with their parents can enjoy many long months of communication before they are physically able to talk. Signing Child teaches parents and caregivers family friendly American Sign Language signs, and simple strategies that will allow you to integrate signing into your daily interactions with little additional effort. We also help parents quickly understand their child’s versions of signs, making communication between parent and child successful from the very start. This toddler can engage his parents in a conversation about birds with one simple sign. Signing Smart is not a second language program, but rather a tool to support and enhance spoken language development. 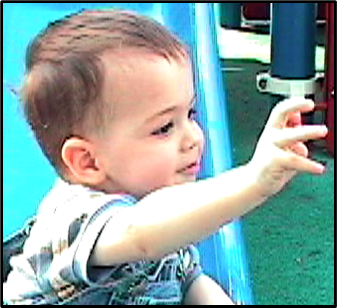 Adding signs to verbal communication assists children in developing verbal skills by giving them experience with successful communication very early on. Signing Smart means less frustration for both children and adults, a goal everyone will love achieving! 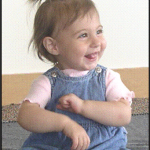 Signing Smart play classes focus on enriching your interactions with your baby, not creating more work for parents. Signing Smart is so easy to implement, even those with a limited amount time with your child will be able to take advantage of the simple techniques we teach in our program.